The new line of VisiJet® M5 plastic materials includes clear, high-elongation, durable plastics; high-strength PP-like black plastic; and stiff, brilliant white plastic. VisiJet M5 Black is a strong, flexible material that makes sleek black parts. VisiJet M5 Black can be used to make functional parts for extended use and testing. 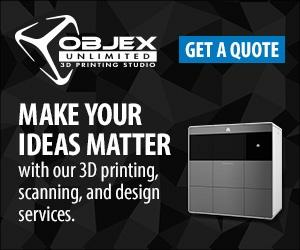 With the ProJet 5000’s large build volume, large panels and housings can be printed with ease. The material’s flexibility allows for easy assembly and snap-fit applications. Its black color makes it ideal for electronics, plastic automotive components, and chic black appliances.